it was Mother's Day yesterday so i hope u all spent some time telling ur mom u love her. she should hear u tell her that everyday, but u must tell her on Mother's Day. it's the rules. (unless u have a complicated relationship with ur mom, in which case i'm not sure how to address that. so i'm just gonna blow past it.) 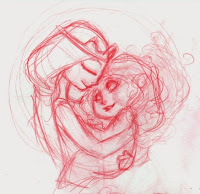 in honor of Mother's Day i made a quick 1-hour doodle of the most mother-daughter themed Disney flick i know & love - BRAVE! well, there's Tangled too, but in a weird backwards sorta way. my mom & i rarely fight, and i don't really remember giving her much reasons to be mad at me when i was a kid (save for not cleaning up my room, like ever), so Merida's relationship with her mother doesn't necessarily apply to me. but i love the movie anyways. MEND THE BOND. behind every fierce woman is an even fiercer mom. so i sketch very loosely on paper with my red pencil, scan it, then go ham on digital painting. 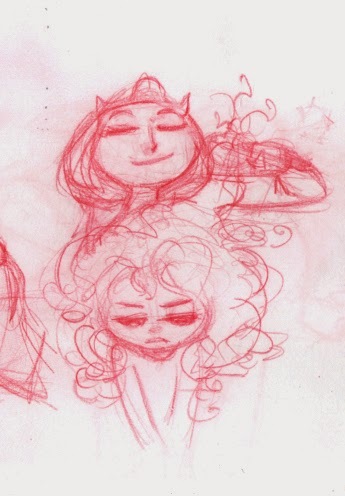 i had two ideas, but i thought the one with Elinor brushing Merida's hair wasn't the right tone that i wanted to show. so i went with them hugging. it's one of the sweetest moments in the film. 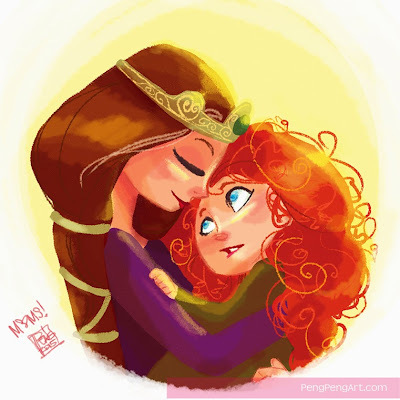 plus i think kid merida is durned adorable. In the first 1880s, the Methodist Episcopal Chapel in Albion reserve the second Weekend in May to identify the special efforts of moms. In its present form, Mother's Day was proven by Anna Jarvis by making use of John Wanamaker following a fatality of her mom, Ann Jarvis, on, may 9, 1905. The state service was on, may 10, 1908, and another year your day was reported to be extensively celebrated in NY.